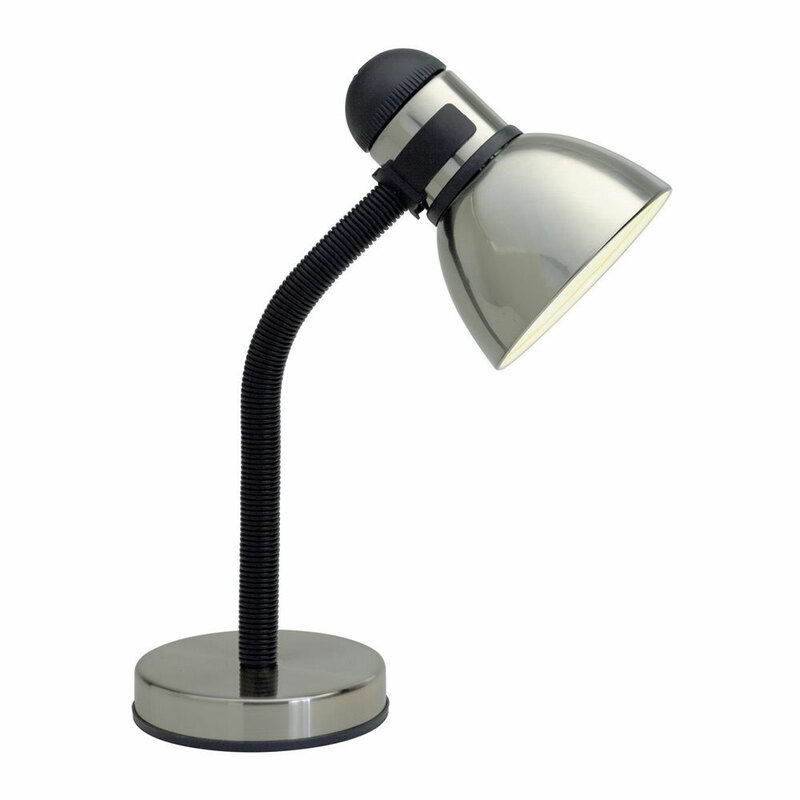 The Gooseneck Desk Lamp - Steel and Black Finish - is perfect for home, school, or office and ideal for low vision. Easy-to assemble: Just attach the lamp shade by inserting and twist to lock. Note: Requires 60 W A19 Incandescent Bulb or 13 W CFL equivalent (not included).